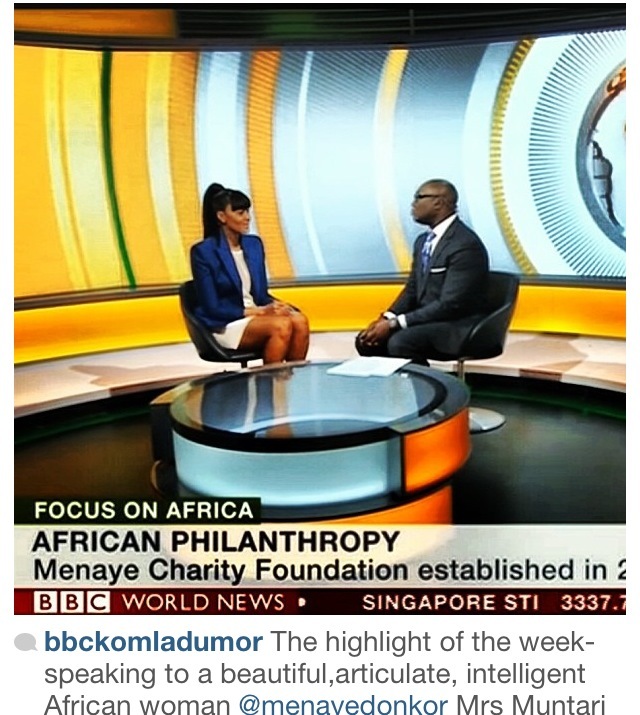 Former Miss Universe Ghana and current philanthropist Menaye Donkor, recently appeared on the BBC's Focus On Africa program to speak about her charity, the Menaye Charity Organization, which was established by Menaye in 2004. Menaye's charity supports the welfare of underprivileged children in the Central Region of Ghana. Menaye is just one of the many dynamic women that I love to feature on the blog. She's a woman who wears multiple hats while looking fabulous. I love Menaye's look for the segment, but I most admore the work she's doing with underprivileged children in Ghana.